Bluebirds are one of the few thrush genera in the Americas. They have blue, or blue and red, plumage. Female birds are less brightly colored than males, although color patterns are similar and there is no noticeable difference in size between sexes. The bluebirds are a group of medium-sized, mostly insectivorous or omnivorous birds in the genus Sialia of the thrush family (Turdidae). 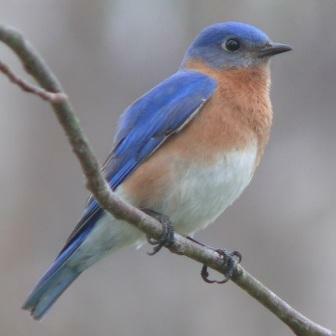 Bluebirds are territorial, prefer open grassland with scattered trees and are cavity nesters, similar to woodpeckers. Predators of young bluebirds in the nests can include snakes, cats and raccoons. Non-native and native bird species competing with bluebirds for nesting locations include the Common Starling, American Crow, and House Sparrow, which take over the nesting sites of bluebirds, killing young and smashing eggs and probably killing adult bluebirds. …so soft and gentle; they sing to no one save themselves. Not loud and boastful like the mocker; not full of chatter like the purple martin. The bluebird song is a kind and personal “I love you” that one must be close and quiet to hear. …the memory of a bluebird’s predawn warble or of a glimpse of a sun-bathed flash of pure blue lives forever. A flowered patch where insects hatch, A bluebird hovers there. But no blue, not even the brightest summer sky, seems as blue as the bluebirds of spring. But you, you will know why the bluebird has returned. Daddy dear, tell me please, is the world really round? Tell me where is the bluebird of happiness found? Every time I see a bluebird, I say, well, hey, all this hard work is all worth while. Gonna find me a bluebird, let him sing me a song ‘Cause my heart’s been broken much too long. His soft warble melts the ear, as the snow is melting in the valleys around. The bluebird comes and with his warbles drills the ice and sets from the rivers and ponds and frozen ground. In the empty space left by the absence of our bluebirds song? How the waiting countryside thrills with joy when Bluebird brings us the first word of returning spring. Reflecting heaven from his back and the ground from his breast, he floats between sky and earth like the winged voice of hope. I am not fighting against Starlings and House Sparrows. I am fighting FOR bluebirds and tree swallows. I garden, therefore I WEED. I raise bluebirds, therefore I remove House Sparrows. I guess everyone must decide for himself the lengths to which he will go to protect his Bluebirds. I have had more than half a century of such happiness. A great deal of worry and sorrow, too, but never a worry or a sorrow that was not offset by a purple iris, a lark, a bluebird, or a dewy morning glory. I have seen amazing sights in my many years but I would be hard pressed to name one that exceeds the wonder and magic of the first flight of a bluebird. I hope bluebirds dance in your soul. I would rather see 300 nestboxes placed in 300 different yards than for me to have 300 nestboxes filled with bluebirds. I’m not sure the bluebirds actually need us as much as we need them. The next generation needs something to be amazed by. If there is no response in you to the awakening of nature-if the prospect of an early morning walk does not banish sleep, if the warble of the first bluebird does not thrill you-know that the morning and spring of your life are past. Thus may you feel your pulse. If you like bluebirds, there can’t be much wrong with you. If you mess around with bluebirds, chances are heartbreak will interrupt the joy sooner or later. Be still and listen, for the Joy shall return to sing another day. 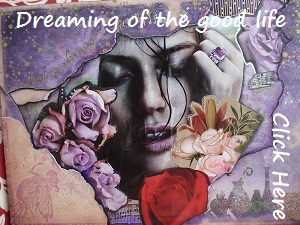 I’m always chasing rainbows, Waiting to find a little bluebird in vain. In the thickets and the meadows Piped the bluebird, the Owaissa. It is the general belief that none of our native birds deserve protection more than does the bluebird. bird saying, Bluebird Quotations, Bluebird Quotes, family Turdidae, famous bird quotes, genus Sialia, omnivorous birds, quotes about birds, thrush family. Bookmark.